Twice a year we host a Panache press event in London to showcase the upcoming Panache lingerie collections. We display the new lingerie in a beautiful and innovative style to excite attending titles such as Marie Claire and InStyle in the hope that they will feature Panache in their upcoming issues. Press days always start at the crack of dawn as we rush to make the display room as beautiful and enticing as possible, decorating it with styled mannequins, candles and flowers which all add to the ambience…. This season was no different and on 22nd May in a sun soaked room on Cavendish Square we unveiled the gorgeous new Panache AW14 collections to the crème de la crème of the media world. The stylish yet functional pieces were all immaculately displayed on individual vintage clothing rails with large bright branding boards placed alongside to represent each of the seven brands – Panache, Panache Swim, Panache Sport, Cleo by Panache, Cleo Swim by Panache, Masquerade by Panache and Sculptresse. The runway of mannequins that greeted each journalist from title such as Harper’s Bazaar and Good Housekeeping added further impact – especially as each model was draped in beautiful statement jewellery, which perfectly complimented the pieces. Press commented on how diverse and creative each collection was for AW14 and were thrilled that key Cleo by Panache sets including favourite Nyla would now be available in B+. The extra details such as #BraHijack labels found on the inside of Cleo by Panache and Sculptresse collections – which support CoppaFeel!’s initiative to get women to regularly check their breasts – really impressed the attending journalists. The award winning Panache Sports bra was another firm favourite, especially the geo print, which got journalists particularly excited! They were shocked that a non-wired sports bra could still be so supportive! To further highlight the Panache message of fit, we offered a professional fitting service to all attendees. You wouldn’t believe the number of people our fitters told were the wrong size…lots of new Panache bras needed! Wah! 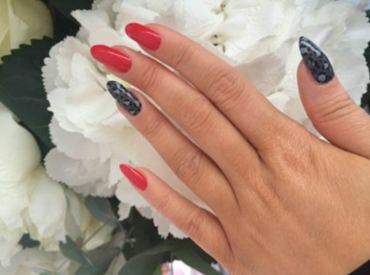 Nails were also on hand to provide each guest with customised nail art inspired by the new range – safe to say that press had their nails well and truly Panached! We certainly cannot forget cocktail hour which saw the busiest time of the whole day. Journalist enjoyed the customised drinks influenced by four of the new collections – including: Panache, Cleo, Masquerade and Sculptresse – each showcasing its individual twist on the autumnal delights of Panache. Panache – included dry gin, Cointreau, Galliano, and lemon juice with a cherry garnish and popping candy. Fun and flirty Cleo saw a mixture of mandarin vodka, mandarin napoleon, elderflower cordial and lemon juice. 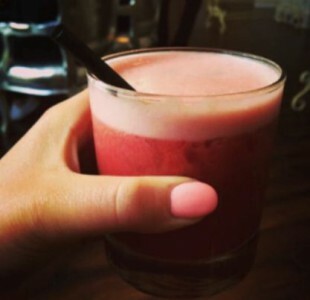 Masquerade added a touch of indulgence and opulence featuring Prosecco poured over raspberry puree. Last by no means least, Sculptresse – highlighting the fun and bright colours with vodka, strawberry puree and pink grapefruit juice. We are so excited for the new collections to launch from July , we are already counting down the days!